This book is the first major study in several decades to consider Uganda as a nation, from its precolonial roots to the present day. Here, Richard J. Reid examines the political, economic, and social history of Uganda, providing a unique and wide-ranging examination of its turbulent and dynamic past for all those studying Uganda's place in African history and African politics. 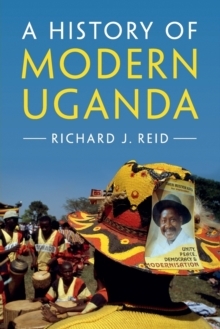 Reid identifies and examines key points of rupture and transition in Uganda's history, emphasising dramatic political and social change in the precolonial era, especially during the nineteenth century, and he also examines the continuing repercussions of these developments in the colonial and postcolonial periods. By considering the ways in which historical culture and consciousness has been ever present - in political discourse, art and literature, and social relationships - Reid defines the true extent of Uganda's viable national history.